Credit: AmazonI have watched a lot of Korean dramas in my lifetime, but 49 Days sticks in my memory like bubblegum. While the series is not 100 percent realistic, the life lessons shown here are deep and are applicable in real life. 49 Days is similar to Hollywood's Ghost in some ways, but with a different purpose. Ghost focuses on everlasting love while 49 Days is about second chances. Ji Hyun is living a perfect life. She has doting parents, a couple of trusty old friends, and a loving fiance. But her happiness is cut short after she gets involved in a car accident. She flies out of her car and to her horror, watches her nearly-dead body being rushed to the hospital. She quickly realizes that she has turned into a ghost. A Grim Reaper (known as a Scheduler in this series) appears and explains to her that it is not yet her time to die. 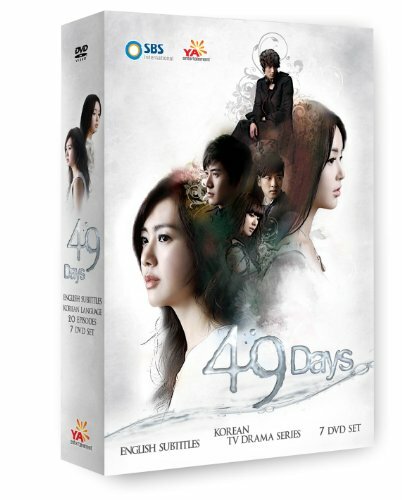 Ji Hyun will be given a second chance to live only if she completes her mission within 49 days. She must collect three genuine tears from people not blood-related to her. This is to prove that at least three people truly love her, making her worthy of living again. To accomplish this, she will borrow another girl's body and she must not reveal her real identity to anyone. By living through Yi Kyung's body, Ji Hyun gets to see life from a fresh eye. She discovers new things and is crushed by betrayal from people she thought love her. Day by day, she struggles to find people who truly love her. There are lots of poignant moments, and I love that Ji Hyun is growing as a person. She gets to enjoy life like she never did before and treasures every single day. Do I recommend this series? Yes! I'm not saying that it's perfect, but with its deep storyline, it has made an impact on me. We get to see solid performances from the actors. The soundtrack is also nice. It's a thought-provoking drama that would make you laugh, cry, and fall in love.